For some people, this may be a little early to be posting about Christmas. We are not long in to December after all. But since the Christmas trees, tinsel and twinkly lights seem to be going up here in Edinburgh (where the National Library of Scotland archive offices are based), it seemed natural to keep an eye out for signs of the festive season in the archive of the publishing firm, John Murray. The most obvious of these, are advertising pamphlets issued at the beginning of the 20th century, like the one in the image above. 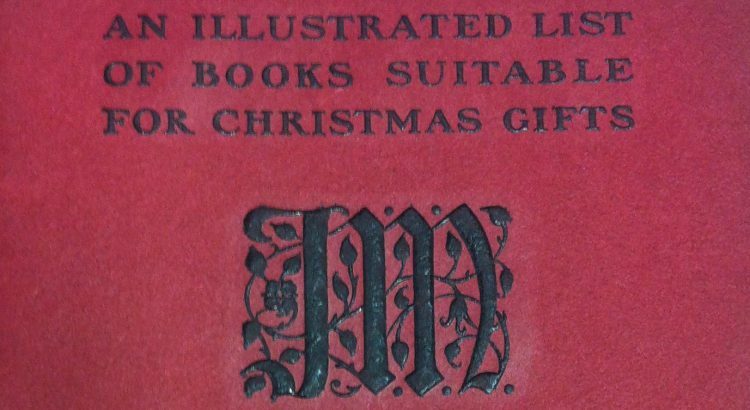 Unlike similar advertisements of today, the books suggested within are not particularly festive and there is certainly no mention of Father Christmas. However, it is within the correspondence that more personal references to the festive season are found. With the thousands of letters to the different heads of the publishing business over 200 years, it is no surprise that a few of these contained references to Christmas. It is early to offer the compliments of the season, yet I beg you will accept them. Since it was the 5th NOVEMBER at the time, I suspect a few people would agree that he was certainly quick off the mark! On the other hand, there is certainly evidence that Christmas was not at the forefront of everybody’s mind. Sir Charles Abraham Elton, for example, wrote to John Murray II actually on Christmas Day 1809 and never mentions it. 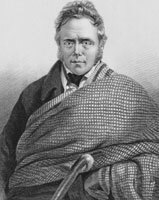 His letter proposes a meeting with John Murray the following week to discuss his manuscript. This was probably ‘Tale of Romances: including selections from Propertius’, which Murray duly published the following year. Perhaps the exciting possibility of his future publication removed all thoughts of any current celebrations? However, without doubt my favourite letter regarding Christmas in the John Murray Archive is from the Ettrick Shepherd, James Hogg. What the deuce have you made of my excellent poem that you are never publishing it while I am starving for want of money and cannot even afford a Christmass goose to my friends? What in the wold is become of that unlucky perverse callan Lord Byron? I have not heard from him these two months and more. I have really been afraid for sometime past that he was dead or perhaps even married and was truly very concerned about the lad.